Known for performance and with one of the coolest histories, renting a Porsche 911 or Porsche Boxster does not disappoint. Find a great selection of luxury car rentals in Arizona Rent A Vette. Call (888) 308-5995 or reserve online here. © First Porsche ever made, 1898. Created by Ferdinand Porsche in 1898, the first Porsche ever made was electric. 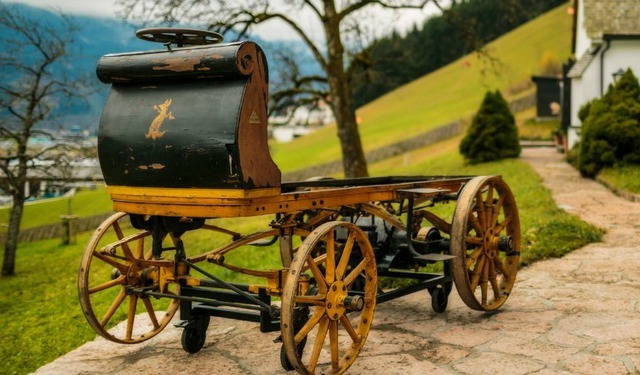 It was called the Egger-Lohner electric vehicle, C.2 Phaeton model and nicknamed “P1” for short. It was said to be capable of traveling nearly 50 miles at a time at a max speed of 22 miles per hour. It was also the first car in the world to have brakes on all four wheels. After racing in an 1899 electric vehicle exposition in Berlin and taking first place on a 25-mile course, it was mysteriously abandoned in 1902. It sat in a shed until relatively recently (2014) before being moved to Stuttgart, Germany to take up residence in the Porsche Museum. The Porsche company has an interesting and varied history. 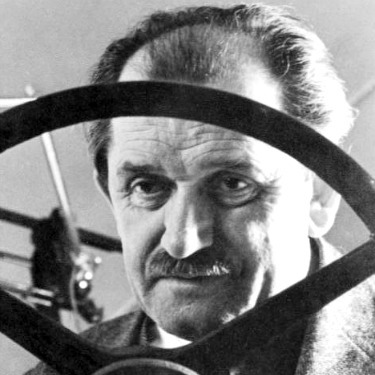 The man behind the company, Ferdinand Porsche (1875-1951), an automotive engineer and the founder of the company, is best known for creating the first gasoline-electric hybrid vehicle, the VW Beetle, and the Mercedes-Benz SS/SSK, among some other important automotive developments. Dr. Ferry Porsche was inducted posthumously into the International Motorsports Hall of Fame in 1996 and won the award for Car Engineer of the Century in 1999. The Porsche company has been known to dabble In designing other things, like award-winning forklifts, grills, airplane engines, and Harley Davidson engines. Until the 1950s, Porsche didn’t have a logo. Dr. Porsche sketched it on a napkin while hanging out with famous U.S. importer Max Hoffman in a New York City restaurant. In 1961, Dan Gurney was the first American to win a Formula One Championship driving a Porsche on a U.S. track. 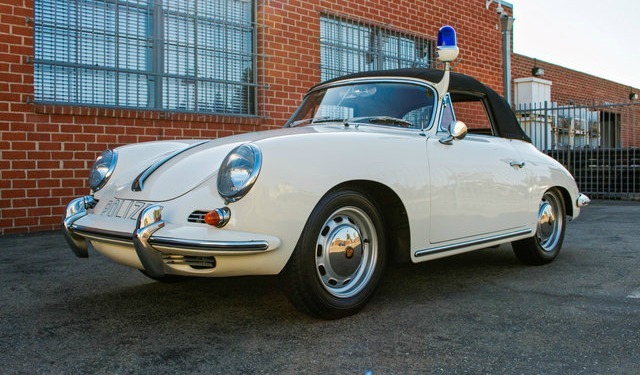 © Porsche 356 used by Dutch Police. A year after production had stopped, Porsche built 10 more of the Porsche 356, most of which were used by the Dutch Police. The first Porsche Parade was on August 29, 1956 in Washington, D.C. It was invitation only and drew 64 members of the new, but growing, Potomac Region Porsche Club of America. Notable celebrities who are or were Porsche enthusiasts include folks like James Dean, Steve McQueen, Ralph Lauren, Paul Newman, Jerry Seinfeld, Patrick Dempsey, and Jay Leno. Some famous movie Porsches include Sixteen Candles (1983 Porsche 944); Bad Boys (1994 Porsche 911 Turbo); Risky Business (1979 Porsche 928); Top Gun (1956 Porsche 356 Speedster). Porsche racecars have won roughly 24,000 races across the globe. When most companies were charging for car “extras”, like an airbag, the 1986 Porsche 944 was the first car sold in the United States with a passenger airbag as standard equipment. With more than 60 years of history in the U.S., there’s no shortage of ways the Porsche continues to impress enthusiasts and new fans alike. 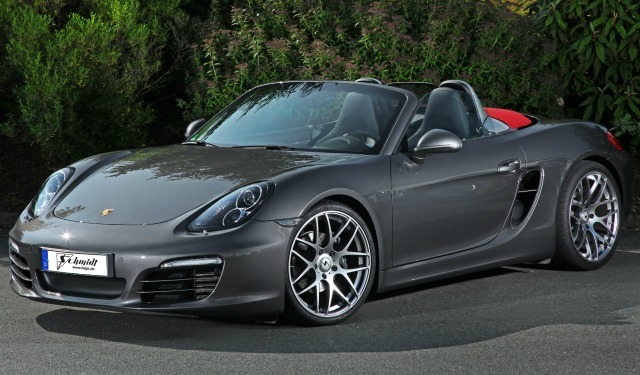 And like with kids, we know you’re not supposed to have a “favorite”, but one of ours might be the Porsche Boxster. Introduced in 1997 and originally designed as a roadster, its amazing handling and top-notch braking, make it exceptionally fun to drive. And, over the years, has only gotten better. Whether it’s a Porsche or a Corvette or one of our other luxury vehicles, the holiday season is the best time of the year to give the gift of an unforgettable driving experience. Purchase a gift card from Rent A Vette and give someone special the opportunity rent one of the best exotic cars available in Phoenix, Tempe, and Scottsdale.